Grew Up… in Lima, Ohio, with both his parents. Artie was tragically paralyzed from the waist down after getting in a car accident with his mother when he was 8 years old. After the accident, Artie led a happy but protected childhood. Living… in his family’s home. Little is seen of his home, though it is presumably very safe due to his mother’s constant worrying. Profession… outcast high school student at William McKinley High School. 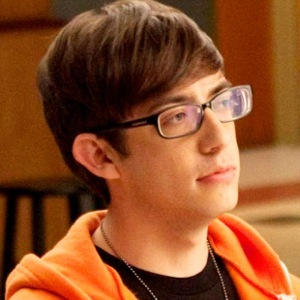 Artie’s wheelchair and nerdy appearance leads him to be constantly bullied by the football team and cheerleading squad. Relationship Status… single. Artie’s disability does not prevent him from longing for a girlfriend. He seeks someone who sees beyond the wheelchair, and is eventually willing to take risks in the pursuit of love. Challenge… avoiding bullies and surviving high school. Considered very unpopular by much of the school, Artie joined the Glee Club to have more friends and potentially achieve popularity. Though he dreams of becoming popular, he realizes that this may never happen and tries to be realistic about his social situation. Unlike some more egotistical Glee Club members, Artie’s central goal is to survive high school without any major physical or psychological damage. Personality… sweet, slightly awkward, adorkable, and pragmatic. Artie is an incredibly nerdy and kind soul. Like the rest of the Glee Club members, he can sometimes be a diva and is not afraid to speak his mind when something bothers him. But more than most, Artie has his feet planted squarely on the ground – even if he can’t stand on them. Artie Abrams's popularity ranking on CharacTour is #1304 out of 5,000+ characters. See our top-ranked characters and read their profiles.